BIG tides, murky waters and plenty of herring are bringing sharks in closer to shore. 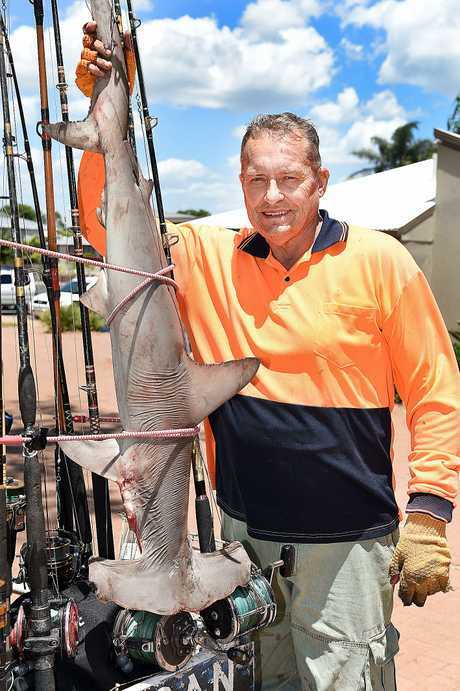 Keen fisherman Colin Mathieson reeled in a 1.37m hammerhead shark off the Urangan Pier on Tuesday. 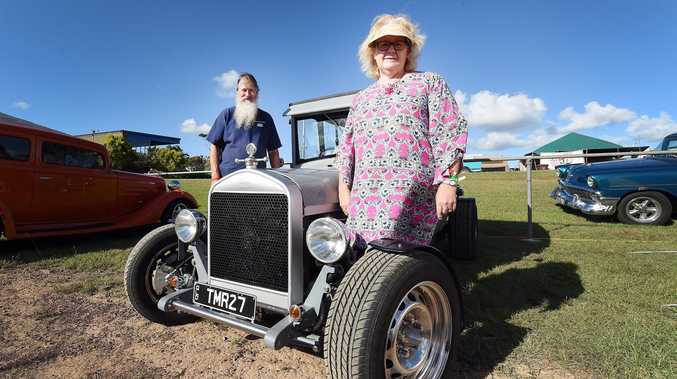 "It went hard and fast and took us to the end of the pier dodging in and out over other people's rods," the owner of Urangan Rod Hire said. "I got my wife to race back and grab my harness to put on for lower back support. "I thought it was a shovelnose ray at first because they go off like a rocket." It took Colin 15 minutes to reel in the beauty on his 100 pound line. Colin said he frequently caught sharks when there was bigger tides and dirty waters. Recent winds and storms have flushed fresh water from the Mary River into the Bay making for prime shark conditions. "The biggest I've caught is an eight foot hammerhead shark but I target smaller sharks because legally you're allowed to keep it up to 1.5m." While he knows there has only ever been one fatal shark attack in the Bay (in the early 1900s), Colin said "I wouldn't be swimming or fishing above my waist, I don't want to be the second person to get eaten." This particular shark caught off the pier was Colin's 253rd shark taken home. To view all 253 sharks visit Urangan Rod Hire on Facebook. YOUR SAY: Are we looking after our pier enough?